Welcome to Rebounderz Indoor Trampoline Arena! Where Family Fun and Fitness come together in a whole new way! When Mark and Al decided to open Rebounderz Indoor Trampoline Arena, they treated it like a mission. They poured their hearts into creating a truly unique, boldly athletic, family-oriented entertainment venue focused upon safe, physical activity and extreme, high flying action for all ages. They started brainstorming: How could the old basic trampoline model be revamped? How could it be bigger and better than anything anyone’s ever seen or experienced? After much creative confab, they decided a colossal indoor trampoline arena was exactly what families and people of all ages needed for exercise, amusement, and revitalization. They would create a safe haven for kids that was both athletic and entertaining, while also captivating parents and attracting adults who would keep bounding back for more! 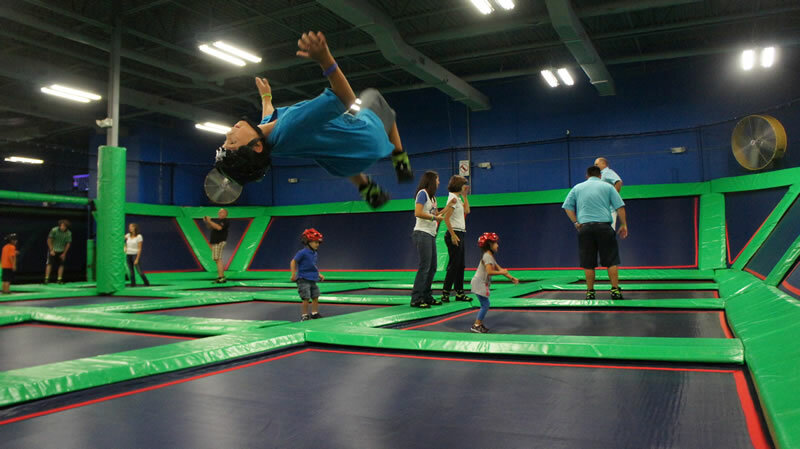 Rebounderz is one of the fastest growing franchises in the industry. Our patented trampoline arena design puts us ahead of our competitors and our proven franchise model can be easily implemented anywhere in the country. 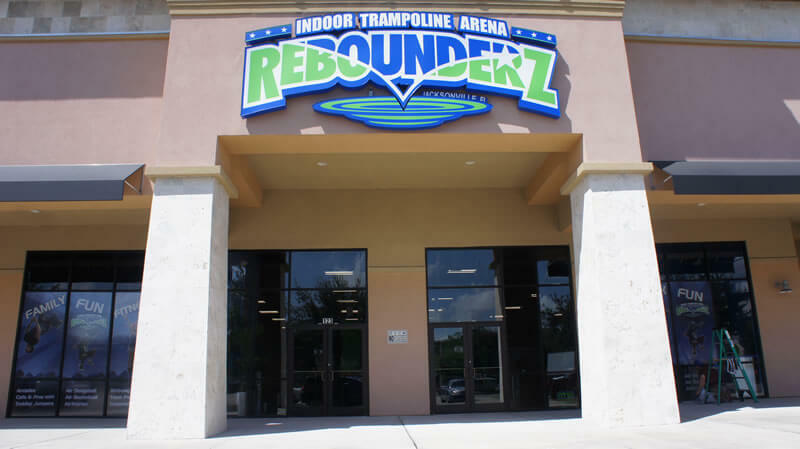 Rebounderz Franchise and Development, Inc. is committed to be the leader in innovations for the indoor trampoline arena industry. By providing our customers with new cutting edge innovations, we are able to increase the safety and overall experience for our guests. RFD was founded on these principles and uses them as a guideline from initial construction to facility operation. The largest safety innovation that was developed by Rebounderz Franchise and Development, Inc. is our patented trampoline Exoskeleton created by our Founder/CEO Mark Gurley. 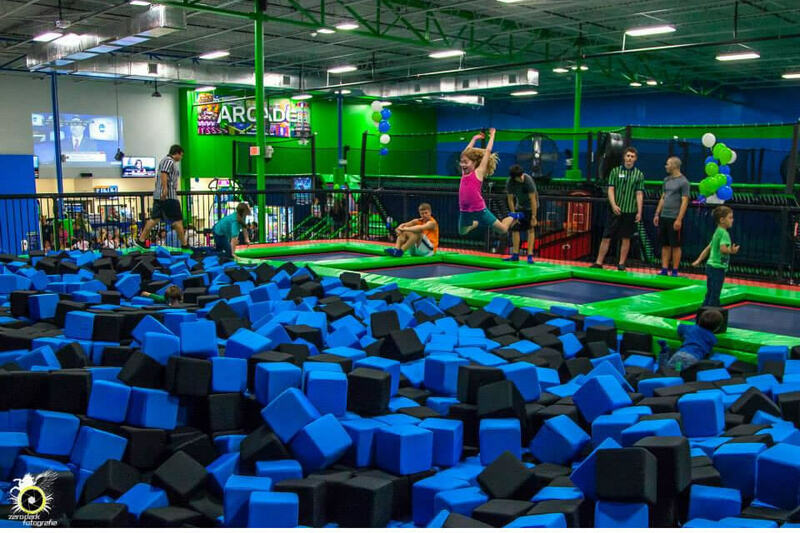 Rebounderz knows that creating unique, enjoyable experiences for families is the cornerstone of our franchisees’ success. We also know that branding is of equal importance. A strong branding strategy can mean the difference between long lines and empty jumpers. By participating in the Rebounderz Advertising Fund, you will be positioned to aggressively drive new customers to your location. Interested in opening your own Rebounderz Franchise!? Please fill out the form below and we will be in contact with you promptly. Keep in mind that SBA financing is available for your Rebounderz Franchise!